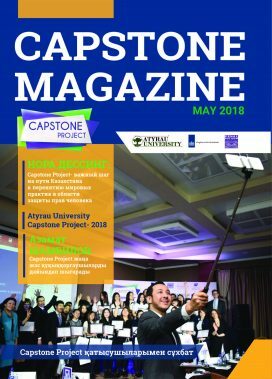 PRI’s Central Asia office has produced a magazine reviewing the implementation of the Capstone Project in Kazakhstan over the past two years. This project, which is funded by the Embassy of the Netherlands in Kazakhstan, aims to improve human rights education for students in Kazakhstan, in line with the educational goals and principles of the Capstone Project. This includes increased awareness of human rights courses and improved capacity of national professors to mentor students carrying out human rights research and projects.